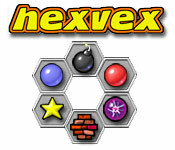 Hexvex is a highly original logic puzzle game with innovative and mind-bending gameplay. 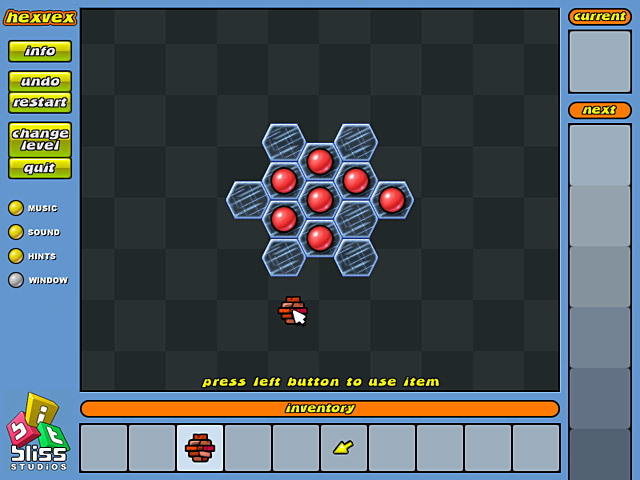 Place and move bricks, form patterns, throw in a bomb or fire off some plasma beams to solve each puzzle. A wide variety of different bricks, items and cells make each handcrafted level different from the last. Hexvex is surprisingly easy to learn ! Each new game element is introduced one at a time, giving you both a perfect learning curve and constantly new and exciting puzzles. Hexvex is rated 3.0 out of 5 by 1. Rated 3 out of 5 by Eveoflove from Not quite that simple Review based on trial period. This "simple" brain teaser becomes quite complicated as you make progress. 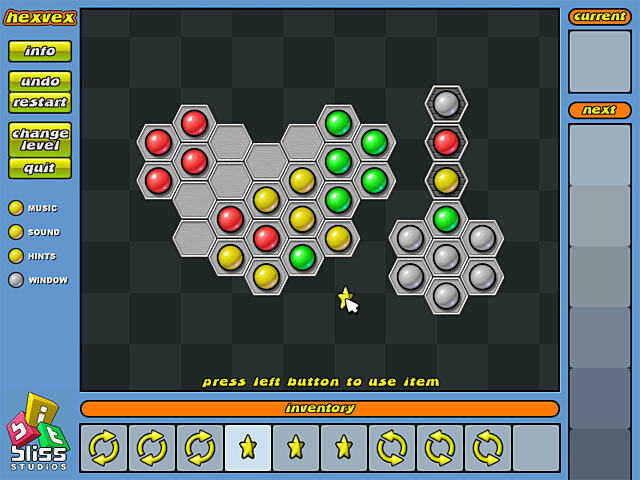 The first levels are simple: you make a "circle" of 6 balls of the same color by placing objects (balls, sliders, spinners, bombs, ice patches, etc.) on a field to make those "circles" disappear. I've put "circles" between brackets because they're actually hexagons, hence the name of the game! There is no timer (yay!) and you can undo moves, 1 at a time, all the way to step 1 of a level if you're blocked. You can also turn the "hints" feature on or off. 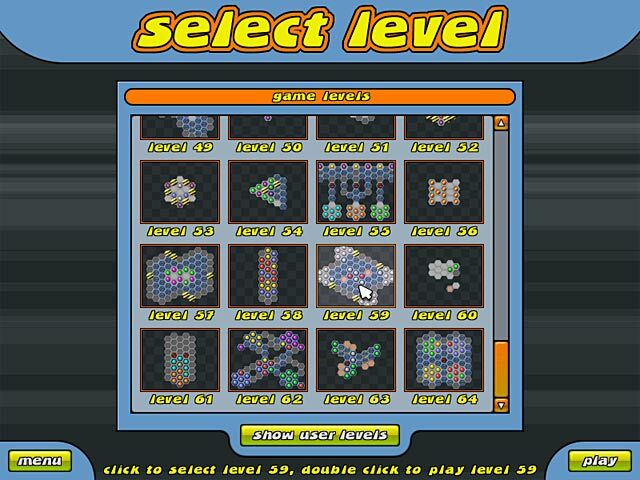 There are 64 levels increasing in difficulty and the behavior of the objects and tiles increase in complexity, like comparing the movements of the pawn at chess those of the knight. I didn't find the hint feature to be useful, so prepare yourself to hit that "undo" feature frequently. I would have liked a more helpful hint feature … something that helps me either rotating a piece of choosing the next item to be used from my inventory. It felt like I could get stuck on a level. I played using Windows 10, so there were some glitches in the music/sound, both of which can be turned on/off. No issue whatsoever with graphics. Try it for yourself, at least the first 7 or 8 levels before forming an opinion. With a better hint system, I would have grabbed this brain teaser! I recommend to those that thrive on logic puzzles.